Until I remembered that 1. The RZA isn’t an actor and 2. He isn’t a skilled martial artist. I roasted his first effort which you can read here, and I was disappointed in how it turned into a kung fu film that got invaded by the X-Men. I also disliked the fact that rather than finding a great African-American martial artist, new or otherwise, to play Thaddeus, he chose himself. That decision brought the entire film crashing down, despite the fact that as a directorial debut, it wasn’t bad, and many people agreed. The soundtrack was awesome, and had the film lived up to the music, we would be heralding it as a classic film. Now comes the sequel, without a Russell Crowe, Dave Bautista, or Lucy Liu. Not to mention a much smaller budget that the first film. In many ways, the smaller budget actually improved this film over the first. But two items derail everything. More on that later. This isn’t a great film. It’s not even good. It’s…mediocre. It just sits there, does its thing, and leaves without any great impression left. The acting is passable, with two exceptions. 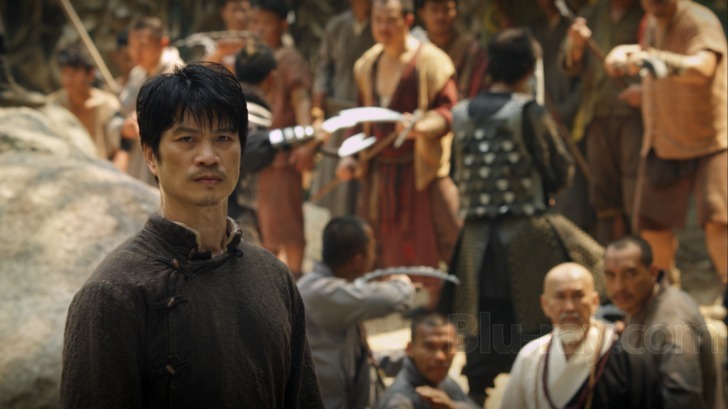 One is Dustin Nguyen, who made for a great hero as the conflicted Lu Kung. The film had the good sense to make him the real star of the film, and he delivers. If you’ve seen the work the former 21 Jumpstreet star has done in Vietnam with The Rebel and Once Upon a Time in Vietnam, and films like Zero Tolerence, you wouldn’t be surprised at this. The second exception? Well, the RZA, again, is terrible here, less than passable, with no onscreen charisma to speak of. The script doesn’t help them out as the dialogue is basic and not out of place from one of the Star Wars prequel films. The overall story isn’t bad, kinda generic, but could have been a cool little film except for the shortcomings. The editing is also a bit lackluster during the fight scenes, but gets better toward the end. 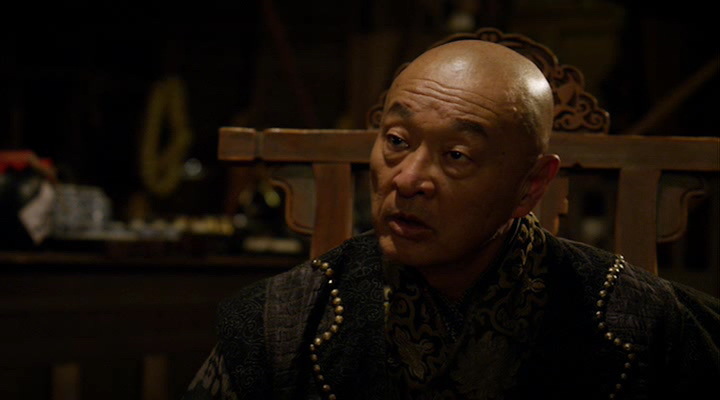 CHT isn’t in the film nearly enough, and toward the end he goes Shang Tsung on everybody so much so I expected him to say “Let Mortal Kombat Begin!” at one point. Grace Huang is also in the film but only as a cameo as one of the Gemini Twins, the only other characters to return from the first film. The music, once again, is really the best thing about the film, and the RZA knocks it out of the park. I think some of the music comes from the first film just remixed, but that’s okay. I loved it in the first film, and I have zero problems revisiting it here. I did find it odd that director Noel Reine also handled the camerawork. It’s two really big hats to wear on a production like this, and I wonder if it affected the quality of the final product. The fight scenes with Dustin Nguyen are pretty good, nothing truly memorable, but good. The RZA, on the other hand, is better than the first film, but still his lack of martial arts skills, and the lack of acting skills to make anyone believe he IS a great martial artist. The finale is the only kinda-gory effects work in the film, and at least here it’s put to better use. The best thing the RZA does is to let Dustin Nguyen carry the heavy loads during the fight scenes. A passable film by the RZA that once again misses the mark due to the RZA’s lack of acting and true martial arts skill. Dustin Nguyen does a great job here, but it’s not enough.